Turn your fear of student mischief into excitement about student and teacher empowerment. Learn how the Maine Township 207 district in Illinois, serving nearly seven thousand students, transitioned to a one-to-one program with Chromebooks and Hapara's tools for teachers using Google Apps. Learn the keys to success from the Assistant Superintendent of Learning and Technology. You will hear answers to the questions: When are you ready? How long does it take? What are the best tools to assist your teachers and students? 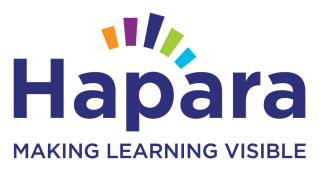 What do Hapara's Teacher Dashboard and Interact do, and what more tools are in the pipeline from Hapara? Dr. Henry (Hank) Thiele is the Assistant Superintendent for Technology and Learning in the Maine 207 Schools in Park Ridge, IL. In this role he serves students and teachers by providing resources and communication and its impact on personalizing education. Before moving into his current role Hank was a high school science and music teacher for ten years while also serving in the role of technology coordinator. Hank has been a featured presenter at many national education conferences. He is one of the co-founders of the Illinois Google EDU K-12 user group and the Google Educator Group Chicagoland, and has supported many schools in Illinois as they transition to Google Apps for Education. Hank is a Google Certified Educator, Administrator and Trainer and has taught for the Google Teacher Academy. His doctoral research was some of the first work investigating “Web 2.0” and its impact on communication, learning, and efficacy in the classroom. His favorite work comes from being a dad of two amazing kids. Jack West is the Lead Educator for the Hapara Team. He helps to shape product direction, working to educate the makers inside Hapara on the needs of people in schools. Prior to his work at Hapara Jack was a high school classroom teacher and program director for fifteen years.